On 28th April 2014 Max Clifford was convicted on 8 counts of indecent assault, not guilty of 2 and the jury could not decide on the last count (it is likely that there will not be a retrial on this). The jury retired on 16th April. After five days of deliberation (including the Easter break) a majority direction was given on 23rd April. There were only 10 jurors and so a verdict had to be 10-0 or 9-1. This post will be edited as more information becomes available. Were They Really Just “Ancient Allegations” Lord Steel ? And yet this eye witness account of an incident in 1979 recalled by a member of the Liberal Party and reported to the local police, Liberal Headquarters and the Region at the time suggests that the Party leadership were informed of Cyril Smith’s indecent behaviour toward a young boy while he was a Liberal MP. 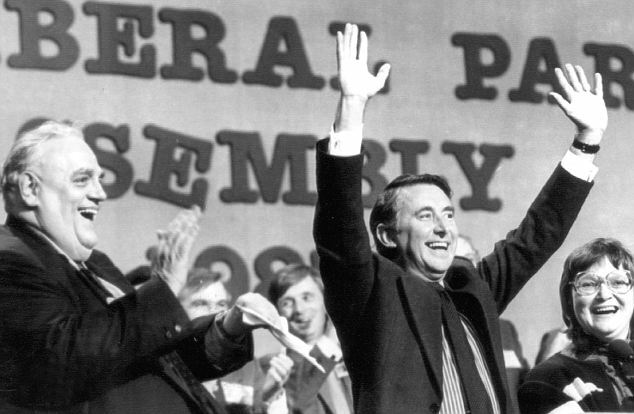 In 1979, I supported the by-election for Manchester. Tony Parkinson was the Liberal Prospective Parliamentary Candidate, but Manchester (as a city centre constituency) didn’t have a local group. The regional Liberal group therefore looked to Middleton, Prestwich and Whitefield Constituency to provide a ‘headquarters’ for the man-power and the organisation. It was always accepted that Tony Parkinson wouldn’t win – it was one of those situations where the Liberals had to be seen to be fighting in the arena – but it was a lost cause from the beginning. The Regional Liberal Party (run by John Towers) put up the deposit. David Alton had made it into the House of Commons after our stalwart efforts of support. So David Alton visited our ‘headquarters’ (that was my flat) to encourage those of us who were working a full day in professional jobs, and then working another 6 hour evening, to keep the campaign going. I have nothing to say against David Alton. He was always respectful and gentlemanly in my company. However, there was great excitement when we were told that Cyril Smith MP would come to see ‘all the workers’. He would come to my flat and help address the postal envelopes with the other ‘workers’. This felt like a great honour. By that time (1979) Cyril Smith was a local celebrity. We phoned the parents of our Young Liberals and explained that Cyril Smith would be arriving …if the Young Liberals would like to attend, they were welcome to come and address some envelopes at the same time and meet Cyril Smith. Cyril Smith was late but eventually arrived with the Regional Organiser who was acting as his chauffeur. Tony Parkinson’s campaign manager was almost living full-time in the spare bedroom of the headquarters and not doing a lot even though he was paid! So, Cyril Smith lumbered up my stairs, huffing and puffing and shouting that he had arrived. You can imagine our excitement…we felt so honoured that a person who was a local celebrity and a Liberal icon had graced us with his presence. He took up the whole of the door-way into my lounge. John Towers had to introduce him to Tony Parkinson (the PPC) and also to the campaign manager. I asked Cyril Smith to take a seat whilst I made him a cup of tea. His answer? “Well, I’ll need a bigger chair than that. When I have been cheeky on one seat I get cheeky on the other” So I brought in another kitchen chair so that he sat on TWO kitchen chairs. He was actually HUGE so I thought I was discreetly solving a problem relating to his weight. Cyril Smith sat next to a 14 year old boy (I deliberately kept him away from the young girls after his lewd comments). He bantered with anyone – old, middle aged or young… and then his left hand moved onto the groin area of the 14 year old boy. The boy jumped sky-high! My late hubby saw it and moved in very quickly (he sent me a signal to get the 14 year old boy into a safe space next to me). Hubby placed a firm hand on Cyril Smith’s shoulder whilst he ‘whispered’ in Smith’s ear. I believe that my late hubby told Cyril Smith to either remove himself immediately (without bother) or my hubby would remove him without ceremony. No further action was taken at that time. Well, I phoned my local police station and attended to make a formal witness statement. Cyril Smith is dead, but the reason I went to the police station and gave witness testimony in 2012 is because that incident was covered up and ignored by police and the Liberal party in 1979. The local Police have tried to find the original witness statement from my hubby (2012) but apparently “it doesn’t exist”. Much of the media coverage following Max Clifford’s conviction for sexually assaulting teenage girls has referred to his role in getting stories into the media. The way he latched onto those involved with ‘scandalous’ stories and brokered deals with the media is interesting but not as interesting as his role in keeping stories out of the media. The function of PRs employed by disreputable people and companies is to kill or at least distort (spin) stories to protect clients. In doing so, PRs not only get paid but they also amass sensitive information about people, which can later be capitalised upon. For those PRs dealing with the most powerful people, this information is a goldmine. Actually, a better metaphor than goldmine is stash of powerful weaponry. Before Clifford’s guilty verdict, I often heard it said that he ‘had enough on’ powerful people to be protected from conviction. The jury, however, listened to the evidence and diligently weighed it up for several days before passing eight guilty verdicts. So much for Clifford’s claims that Operation Yewtree, which was launched after Savile’s abuses came the light, is a “witch-hunt” and that his accusers are “fantasists and opportunists”. There is a fascinating and disturbing clip of Clifford that I have not been able to share since his arrest. This is because the footage, which was shot in 2000, could have been deemed prejudicial to legal proceedings. As trade minister Clark encouraged the sale of weapons to Iraq when it was under the control of Saddam Hussein. The UK had an embargo about selling weapons to Iraq but Clark secretly encouraged the company Matrix Churchill to go ahead illegally. When the weapons – disguised as machine parts – were intercepted at customs, Matrix Churchill said Clark encouraged the sale. Clark denied involvement, which led to Matrix Churchill executives being prosecuted. They were only saved from lengthy jail sentences because Clark was forced to attend court and admit he had lied to the police. As Clifford awaits sentencing, let us hope he finds it in his conscience to pass any information he has about Establishment and celebrity child abuse and other crimes to the police. If the Clifford case had failed, there would be many people claiming that historic abuse allegations should not be pursued and they are driven by opportunism and malice. If the Savile scandal has led to any opportunity, it is for those who have been abused to come forward and to have confidence they will be listened to. This opens the way not only for those individuals to heal but also for society itself to recover from the wounds of injustice and deceit. I can’t seem to embed videos from DailyMotion and so I’m afraid it’s another link. Child Abuser Max Clifford Could Face More Allegations. I’ve always found Mark Williams Thomas extremely reliable on these matters. Readers will have noted from yesterday’s verdicts that the 10 remaining members of the jury were unable to come to a verdict on one charge. This had left open the possibility of a retrial. 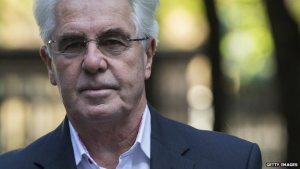 News that other women have come forward since Max Clifford had been charged increases the likelihood that a retrial will take place though in the absence of an appeal by Mr Clifford it may be that he’ll plead guilty to any further charges that may be made against him. I hope so for the sake of the victims. Max Clifford: Well, the most effective way would be for me to create a relationship. Louis Theroux: Like, for example, this one. Max Clifford: No, not like this one. It would have to be a long-term one. Louis Theroux: She is very attractive. Louis Theroux: She went out with Clive Sinclair. Louis Theroux: And you believe this? Max Clifford: Well, of course, it’s in the News of the World, so no reason not to. Louis Theroux: [reading] “I ripped his towel off and he lay on his back and moaned as I pleasured him.” What does she get out of this? Max Clifford: She should be earning ten thousand pounds for that. But maybe she would have got two or three thousand pounds herself. Max Clifford: Well, there you are, you see. Says it all, doesn’t it? Louis Theroux: It’s cobblers, isn’t it?